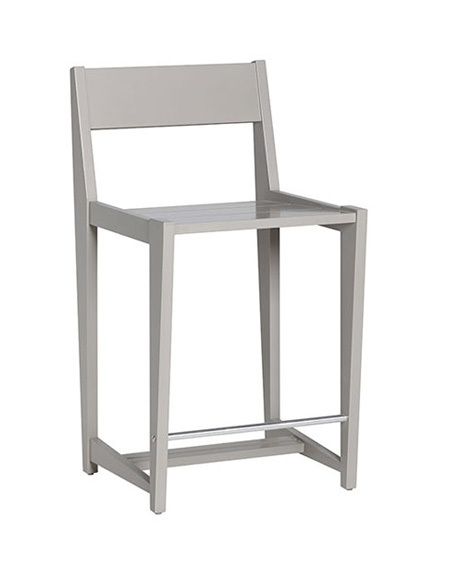 Our original and best-selling chair is now a counter-height stool with back! Made of solid maple with a sleek, chrome foot rail, the Single Stool with Back is a lovely addition any modern kitchen. Shown in Clear as Mud. Natural finish options available.